Hans was born to simple German merchant family. His family was well respected on his block, and was affluent, aided after the general take over of the Nazi party, which they promptly joined to help kick out the Jewish business. Hans attended his Hitler Youth classes dutifully, gaining admittance by the age of 14, and catching the professional eye of his instructor, who wished to mold him to become a leader, and Nazi soldier of unparalleled ability. However, during his time in the HY, (Hitler Youth) he made a ally in a fellow member from a different battalion, Emil Vogt. Although he and Emil did not see eye to eye on the interpretation of their creed, they were able to share battle tactics, and were a force to be reckoned with when their battalions were paired. However, the most interesting battles occurred when they were pitted against each other, as it was often an all-out war that went on until the last man was standing. However, though these events, they were able to form a bond of camaraderie that bound them while they spent their days in the HY. Hans was pushed physically and mentally by his instructor, and had the Nazi code inscribed upon his very being, until one night when Hans and his parents were eating supper on his 17th birthday. Han's instructor had decided to pay a visit to their house, with one goal in mind, to make Hans his. He wished for Hans' body and soul for himself, threatening the lives of his family. When Hans denied him, he shot his parents point blank, splattering their brains across the kitchen wall, he then approached Hans, and drew his face close. At that moment, something snapped inside of Hans, he lost control of his body, and his mind shut down, "Kill yourself." Unconsciously pecking the lips of his former commander, this was the goodbye he bid before he turned his back around and heard a gunshot ring out. He lived in his house for a solid week before the smell become too much for his neighbors to bear, they called the police, whom Hans explained the events of that night to, and was rounded up by Germany's Parahuman Investigation team. He was processed, and deemed fit to join the cause for Germany, being sent off to join Hitler's Parahuman Corps. He was able to reunite with his friend Emil, who had already been instated in HPC before Hans was. It was here that Hans learned how to bring his, 'unique' abilities to the battlefield, and was assigned as a field operative and intelligence officer. He was taught how to use a knife and a pistol, but most importantly was taught how to close the gap between himself and another person quickly, to ensure the success of his ability's condition. 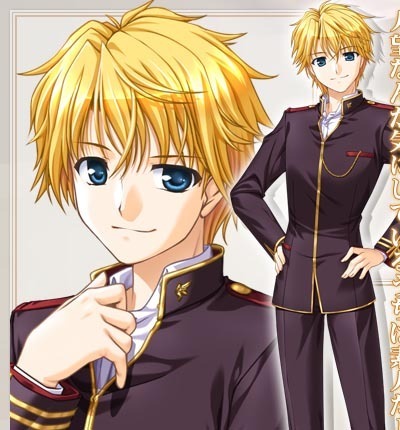 Due to the unique style of his ability, he was given the code name, "Incubus" and with his new skills and title, he was sent off to fight for Germany. Costume: Dark grey Streamline Suit, Dark grey leather gloves, White mask (covers majority of face bar eyes and lips), belt w/ slot for knife and gun, dark grey combat boots. Power drawbacks/tolls and power explanation: Hans has the ability to manipulate a target's thoughts and actions, this is by giving the target a command, and then kissing them on the lips. Hans can control a maximum of two targets at a time for a limited amount of time, 10 in game posts, however, subsequent commands can be issued to controlled targets without having to reapply the kiss. Controlling targets takes a heavy toll on Hans, and he has a max of three targets per day that he can control. Chaotic neutral: A Chaotic Neutral character is an individualist who follows his or her own heart, and generally shirks rules and traditions. Although Chaotic Neutral characters promote the ideals of freedom, it is their own freedom that comes first; good and evil come second to their need to be free. Chaotic Neutrals are free-spirited and do not enjoy the unnecessary suffering of others. A Chaotic Neutral character does not have to be an aimless wanderer; it may have a specific goal in mind, but its methods of achieving that goal are often disorganized, unorthodox, or entirely unpredictable.